Welcome back. Apologies for taken a bye for week 10. In hindsight, I’m glad I did. 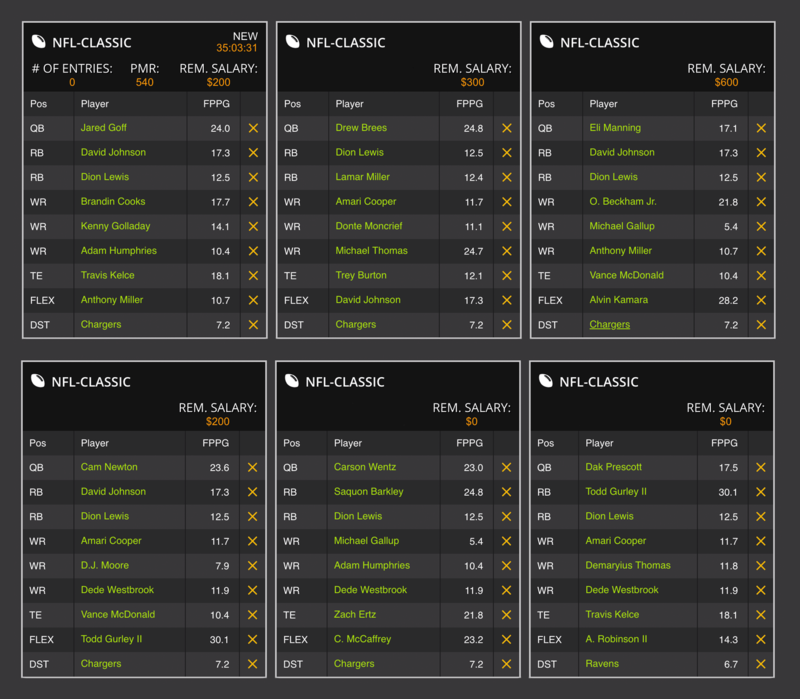 Every steal or “sure shot” I had in mind tanked, badly. Can anyone say “New York Jets DST?” Yeah, that was supposed to be a slam dunk play and it turned out to be a disaster. It’s starting to get weird for this time of year. Either way, let’s get to it, shall we? 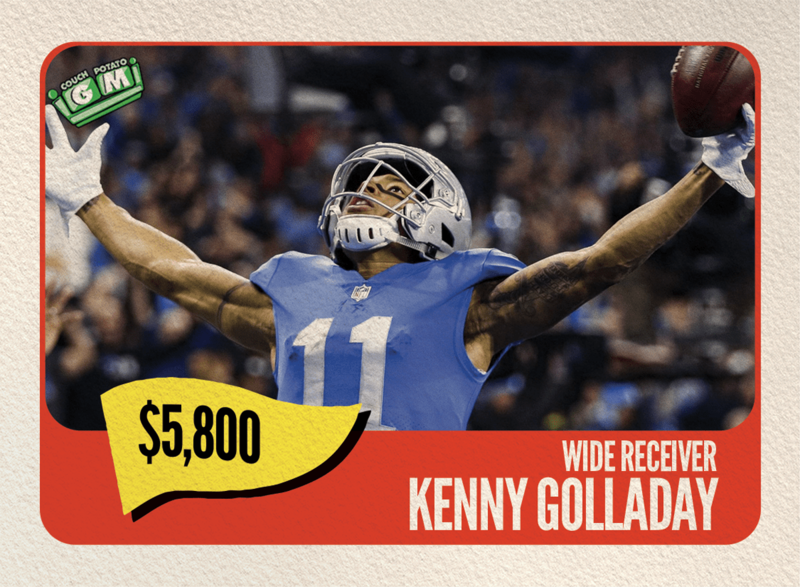 Kenny Golladay, WR (DET) $5,800: “Baby Tron” is my guy. I lobbied on his behalf all summer long and drafted him in the majority of my leagues. He’s paid dividends and solidified himself as a legit WR2 with upside. At $5,800, he’s going to outperform his price tag. A couple of things to consider: Marvin Jones Jr. is ruled out and Golden Tate is two weeks removed from the team. Golladay is averaging 14.1 FPPG on the season and 15.3 FPPG at home. He should be a target hog against a Carolina defense that ranks 22nd against the pass, allowing 258.2 PaYDA/G. Dion Lewis, RB (TEN) $4,800: Lewis had two strong back-to-back games in weeks 8 and 9. Then it was Derrick Henry that ate up the fantasy points in week 10. Lewis is the James White of the AFC South and averages 12.5 FPPG, scoring 15.9 FPPG playing away. The Colts rank 24th against the pass, allowing 286.4 PaYDA/G. It’s the catches out of the backfield where Dion makes his money. The only thing stopping Lewis is getting vultured at the goaline, though he’s still getting a carry or two when that time arises. DeDe Westbrook, WR (JAX) $4,700: Westbrook emerged as the Jags target leader as of late. He had 10 targets last week and averages 11.9 FPPG, with 13.3 FPPG at home. Pittsburg has a middle-of-the-road passing defense, ranked 19th against the pass and allowing 245.3 PaYDA/G. If Ben and company start to exploit the Jag’s struggling secondary, expect Bortles to air it out often. Adam Humphries, WR (TB) $3,300: When the Bucs are on the road, Humphries FPPG jump from 5.8 at home to 14.0 away. In his last 3 games, he’s scored 7.3 (home), 28.9 (away), and 14.6 (away). 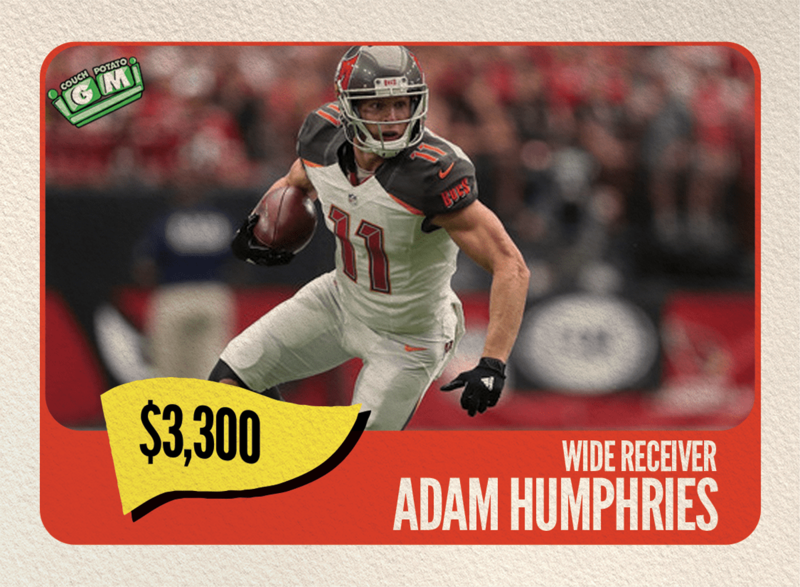 With Chris Godwin dealing with an injury, Humphries could be a breakout this week in DFS. At $3,300, what do you really have to lose? Free up that cap space for Gurley.